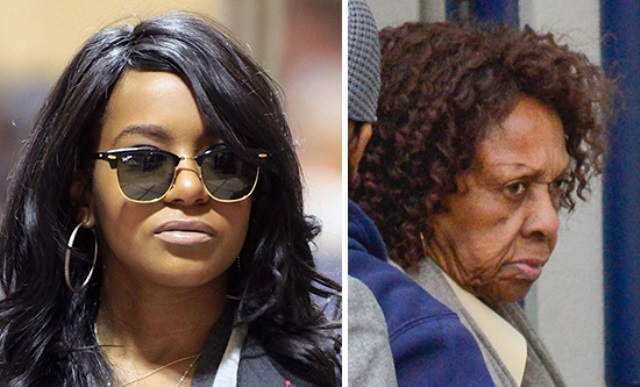 Bobbi Kristina’s Family Set to Pull Plug On Anniversary of Whitney’s Death? It is rumored throughout social media and the internet that, Bobbi Kristina Brown’s family will pull the plug on Feb. 11 — the 3rd anniversary of her mother Whitney Houston’s tragic death by drowning. Bobbi was found face down and unresponsive (no heart beat, not breathing) in a bathtub at her Roswell home 2 weeks ago. Bobbi was transferred to Emory hospital after neurologists at North Fulton Hospital told singer Bobby Brown that his daughter was brain dead and there was nothing else that could be done for her. In addition to taking her off the ventilator, all medications (including IV sedatives) and intravenous nutritional support would also be stopped. But whether this is true or not is purely speculation until Cissy or Bobby Brown confirms the rumors. Personally, I find it very hard to believe. It sounds too theatrical to be true. “This is the only thing they can agree on — that she’s gone [brain-dead], and there’s nothing more than can be done for her,” a source told the NY Post’s Page Six. Meanwhile, police are investigating the history of domestic violence between Bobbi and her longtime boyfriend Nick Gordon that may have directly led to Bobbi’s death.